Cattaneo Commercial have just secured the sale of Elephant House, 28 Lyon Road, Hersham Trading Estate, Walton on Thames, KT12 3PU, a 7,700 sq ft light industrial/office building at a new record price for the estate, demonstrating ongoing strong demand from owner occupiers for this location, which is close to Hersham mainline station. 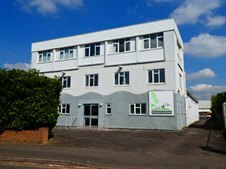 A number of key trade counters are based on Lyon Road and Cattaneo Commercial have a number of units to let on this estate. For further information please contact Andy Armiger on 020 8546 2166.